There’s a lot more to trial work than being savvy, tactful, intelligent, and aggressive and forceful when necessary – though all of these are imperative. At the end of the day, the human touch is paramount. We are in the fox hole with human beings (whether they are in-house counsel, executives or individuals with legal issues). And they hire us to provide comfort and counsel, put their interests ahead of ours, and go the extra mile to make their lives easier and less stressful. 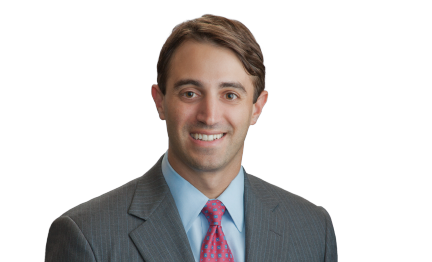 Known for his ability to explain complex issues and adapt his approach to any case, Mitch Ackal focuses his practice on guiding a diverse group of clients through every stage of high-stakes commercial and business disputes in Texas and throughout the country. He handles litigation in state and federal courts, arbitrations and on appeal. His case load typically involves prosecuting and defending clients in oil and gas disputes along the entire energy stream, breach of contract and other business-related actions, franchise/distribution disputes, partnership disagreements, and commercial cases involving the Uniform Commercial Code. Mitch is involved in challenging roles that not only involve complex dispute resolution, but also allow him to serve as an integral team member and go-to advisor for clients on a broad range of matters impacting their businesses outside the courtroom. For example, as national litigation counsel for one of the world’s largest plastic distributors, Mitch is always on call to find effective solutions for a variety of everyday and big-picture issues. He also oversees and manages litigation for clients from coast to coast involving contract disputes, employment matters, trade secrets, non-compete/non-solicitation agreements and products liability. Competing and winning at a high level is nothing new for Mitch. After growing up in both New Orleans and Houston, and graduating from Strake Jesuit College Preparatory, he played college baseball for Rice University and was a member of Rice’s 1999 College World Series team. Successful defense of oil and gas operators in various lawsuits alleging breaches of joint operating agreements brought by non-operating working interest owners. Obtained dismissal without payment on behalf of casing pipe manufacturer in claims brought against it for negligence, products liability and breach of warranty. Represented operator in connection with claims against drilling contractor for over-billing. Defense of international petrochemical company in suit brought by domestic equipment supplier. Second chaired jury trial with Jim Reed where jury returned a verdict on November 14, 2011, in favor of the Firm’s client, a former police officer who brought claims against a school district, and the Captain and Sergeant of the district’s police force, for violations of the Texas Whistleblower Act and rights secured by the First and Fourteenth Amendments to the United States Constitution. After trial, the school district and individual officers perfected an appeal to the Fourteenth Court of Appeals in Houston. Mitch successfully handled all aspects of the appeal, including oral argument, and on October 31, 2013, the appellate court affirmed the judgment of the trial court. The appellate court’s opinion can be found at 2013 WL 5861516. Named class counsel in 9 federal class action settlements regarding the failure of oil and gas operators to properly return pro rata portion of severance tax refunds to non-operating working interest and royalty owners. Counseled franchisee regarding anti-trust tying issues, franchisor encroachment, and trademark issues. Prosecuted claims on behalf of cosmetic manufacturer and distributor against competitor in a case regarding business disparagement, tortious interference, and claims under the Lanham Act. Defended and prosecuted claims on behalf of cosmetic manufacturer and distributor against downstream distributorships, and provide general counsel and advice regarding trade secret and other intellectual property protection. Recovered significant deposit paid to manufacturer of sophisticated valve-testing equipment when manufacturer failed to make timely delivery. Defense of industrial valve manufacturer regarding warranty claims and a construction project at Pearl Harbor, Hawaii. Represented manufacturer of styrene regarding force majeure issues involving Hurricane Ike and the purchase of a nominated quantity of benzene. Secured numerous settlements and recovery of possession of leaseholds on behalf of provider of coin-operated laundry equipment against landlords for breaches of commercial leases and wrongful lockouts. Prosecution of claims against joint venture partner regarding the entitlement to proceeds from the sale of a commercial real estate development involving complex condemnation issues. Successful defense of home builder in several cases regarding allegations of fraud, breach of contract, breach of warranty, and DTPA violations. Recovered amounts due and owing to various employees upon breach of compensation agreements by their employers. Represented restaurant partner in his successful business divorce from other partner regarding Galleria-area restaurant. Successfully defended contract and business tort claims brought against commercial electrical contractor, and representation of contractor in numerous lawsuits resulting in recovery of amounts due and owing under outstanding accounts. Board of Directors, Magnificat Houses, Inc.
Casey Stengel once told a reporter, “I have no hobbies. Most of my off-season time is taken up with baseball business.” (Quoted in The Sporting News, September 21, 1955). The same can be said of Mitch, except he also enjoys being his kids’ personal chauffeur, loves exploring Houston and New Orleans restaurants, and can’t go more than a couple weeks without reading a new book.